Earning from blogging sounds like a myth. However, there are people who have done it and blogging as a career. There are some people who earn a fat cheque and enables them to buy a big house and a nice car. But there are also people who earns merely a few cents per month or nothing at all. If you choose blogging as your income revenue you have to know that you need to work hard and work smart in order to earn big. It is a fair system - how much effort you put in, is how much you will earn. So, how do you earn from blogging? Let's get the purpose of this post clear - what I am going to share is all about blogging (not social media, not YouTube, not outside jobs which may link to your blog), and I also separate it into the visitors' count so that you can focus on the direction where you want to go. Generally speaking, low visitors blog have very low chance to earn. If your blog readership falls under this category, you should focus on increase your blog traffic to at least the medium range. You have to understand that the lower your visitors are, the lesser options you have to earn. Adsense is a Google Ads platform and it opens for all publishers regardless your visitors' count. I still haven't mastered the entire Adsense payment matrix, but what I understand is, you will be paid on two levels - by views (CPM) and/or by clicks (CPC). CPM pays lower and CPC pays higher. To begin with, Adsense will place your CPM on the lower price due to low exposure of the ads. Your earning will gradually increase based on your readerships, if it increases as well. On average, I earn around USD183.03 for average 60,000 page views per month. This is considered high earning because my page views aren't as high as other bloggers. However, my blog is able to publish relevant ads to my target audiences. This will increase the chances of getting the ads clicked by visitors. Panel Ads are basically the same as Adsense. The only difference is you have pitch to the potential advertisers yourself. For Adsense, Google acts as your agent to get these advertisers to publish their ads on your site. In the beginning, your blog may not be influential enough to pitch to bigger companies. This is where you can get your personal networks to buy your ad space. Look around you if there is anyone you know that owns a business? You can speak to them directly. Make sure your price is also reasonable in exchange of the exposure you are able to give to your client. When I start out, the panel ads that I charged was RM50 per month. It is pretty cheap and affordable. And most of my clients are blogshops (it was the thing before Instashop). The only inconvenience for this method is the production of artwork. Are you going to design the ads for your client? Or will you specify the requirements (size, format, URL to link and use of image) for them to produce the artwork? You will also need to prepare proposals and post-mortem report for your client. All these work may not worth the money you are getting, but it is definitely a stepping stone for you to go further because in the future you are able to provide a portfolio for your future clients. Sponsored Posts are posts that being paid for or the product featured are paid for. In advertising, products are also considered as value as opposed to us bloggers, products do not equate to earnings. For discussion purposes, we are going to lump sponsored products and paid sponsorship into the same category. How do you get brands to sponsor you? First of all, you need to know how to build a sponsorship proposal for your blog. Secondly, find the PR contact or contact persons of the brand you want to work with. Third, submit your proposal and do a follow-up courtesy. (Will blog about how to build your proposal next week). For fresh blogs, the chances of getting sponsors are low, but it doesn't mean that it is impossible. 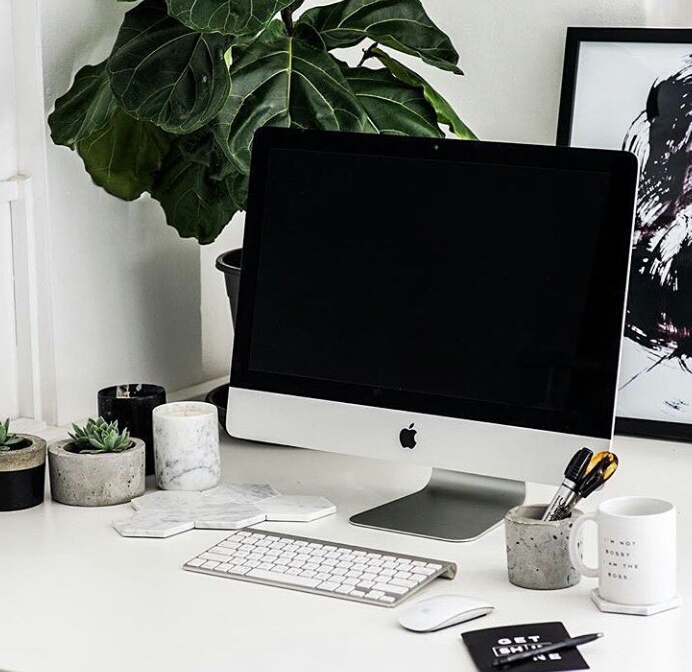 Some newly established brands or indie brands are more flexible to work with. Target individual owned brands before you jump into the bigger brands like Maybelline or L'Oreal. If you have blog with page views 100,000 above and have reputation of working with some PR companies, chances are, you will get a lot of sponsored products coming into your mail regularly. To compromise with the products you received, you can do a product appearance posts such as Monthly Favourites, What's in my mail, New Products Features, etc. It is a single post with various products featured in it. If you are a regularly YouTube beauty videos watcher, you are familiar with these contents. You can always follow the content direction, instead of making a video, you can blog about it. This is my least favourite revenue. Most of the time, you may get random emails from brands to link their websites on your blog. They pay somewhere around USD50-USD100 for 3-5 keywords. The reasons why these people are reaching out to you is because they need to drive your visitors to their websites. What I don't like about this is the relevance of the keywords/brand to my blog and also it is of no value to my blog. You can't reference this job in the future to get new advertisers in. Some of the brands that love this method is e-commerce sites and apps. The Affiliate Programs are an avenue for you to feature a product on your blog and earn commissions or clicks. Some by invitations only and some opens for all. One of the successful affiliate program is Amazon Affiliates. To start with, Amazon pays you around 4% of total sales per quarter. If you successfully refer 7 sales, your commission will increase to 6% and so on. I personally find this method don't work for my blog because of the nature of my blog - to provide information. You need high influence skill to be able to convince your audience to buy the products. My Amazon earning is a pathetic USD2 per quarter. That's like RM8 for 3 months, which is not enough to a cup of Starbucks. You also need to be very hardworking to find out what's new on Amazon (what sells and what don't). To make your referral work, you also need to go back to the Amazon Affiliate platform and link the product back to your blog. 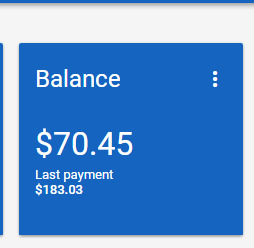 This is something I am very lazy of, so I'm not going to complain that I earn so little from the platform. If you have the ability to convince your readers to buy the products you featured, why don't create your own products and sell it on your blog? If let's say you are earning a decent pay cheque of USD10,000 from Amazon, which equates to 6% of the commission, think about the possibility you can get if you sell your own product with a sales profit of 100%. That is a total sales of USD166,666. This is why you see a lot of bloggers are becoming entreprenuer themselves. A successful example in Malaysia is Vivy Yusof. Instead of products, you can also sell services on the area that you are expert in (example, if you are a travel blogger you can take up jobs to be tour guides). On a larger scale, the biggest job that a blogger can get is a 360 product campaign. This include, panel ads, sponsored posts, social media posts, event appearance and campaign appearance. Basically, the brand will buy you up for a retainer project to promote their items for a period of time. It often comes with a thick contract, strict requirements and a fat cheques. Even if you are a famous blogger with very high readership, this opportunity does not come often. For example, SK-II engages beauty bloggers world wide to promote their products and a very few of them are able to appear in SK-II advertisements, attend their events worldwide and act as a spokesperson for the brand. To be frank, you will need to do a lot of research and a lot of work before getting a decent pay for your blog. Blogging is a fair industry. And as a blogger, you are your own boss so working smart is also essential for your success. What we have discussed above are just on the surface of the blog. When you have high readership, there are more doors open for you to earn from different revenues. Just work on increasing your readership first and slowly build your reputation. You will learn everything you need to know along the way.